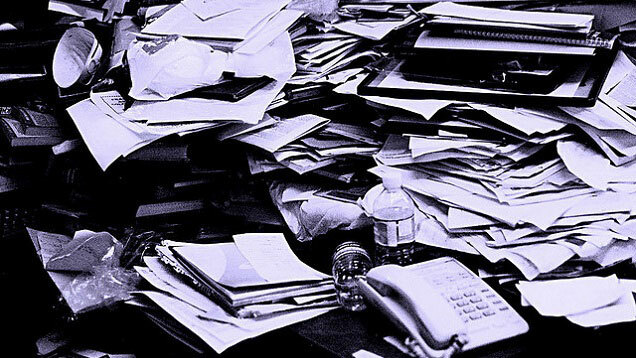 We may not like to admit it but we accumulate clutter at home and around the office. Purging documents or a Clear out Service can be used to remove your old and expired documents. The greater the amount of paper accumulated the greater the risk of a data breach. You may have picked up an interesting flyer or printed out a document to use at a later date. Leaving a work or private document aside and use at a later stage. This process continues and repeats. When you decide to deal with the build up, it can be a daunting task to deal with. reduce your immune and digestive system. Increase risk of heart attack and stroke. Security issues such as data breaches can occur if private documents are not disposed of correctly. If a data breach occurs, you are required by law to report it to the Data Protection Commissioner. Failure to do so can result in a hefty fine on your business. There is also another method of dealing with the clutter. 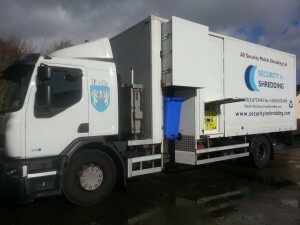 Confidential shredding specialists in Limerick & Galway are available to do on site shredding of any and all documents. This method will remove all your unwanted documents, safe in the knowledge that any and all private documents are destroyed beyond recognition. This eliminates the risk of a data breach and the potential of a large fine for your business. Our trucks are available for scheduled service and do the shredding process on site. On site may not suit your set up and a bag collection service is also available. The sealed secure bags are then brought to our shredding machine at out location and a document of destruction certificate will be sent to you to confirm the shredding. For more information on or clear out service or any other shredding service, please contact our team by emailing us any question or query. This entry was posted in Confidential Shredding, Paper Shredding and tagged Confidential Shredding, confidential shredding Galway, Data Protection, Onsite paper shredding service, Secure Shredding, shredding Galway, shredding Limerick by Security in Shredding. Bookmark the permalink.